The government shutdown that started December 22, 2018 may impact taxpayers this tax season. 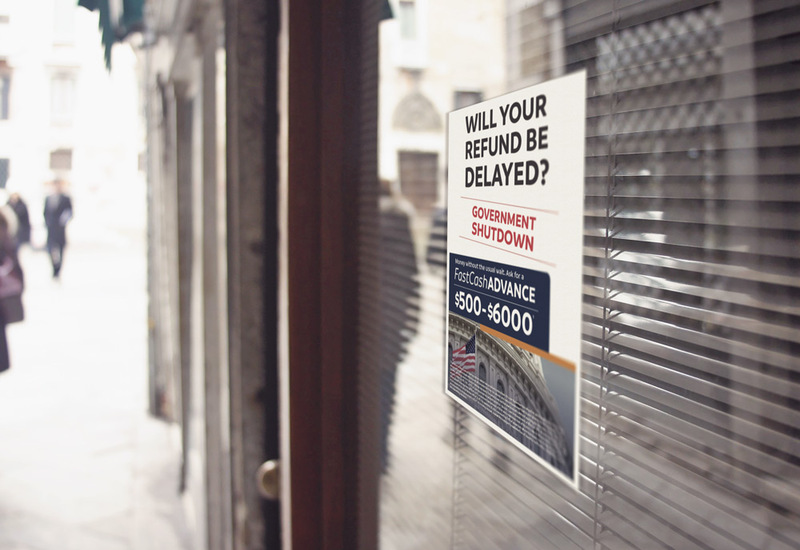 The IRS will not be issuing refunds until government funding measures are passed to re-open the federal government. 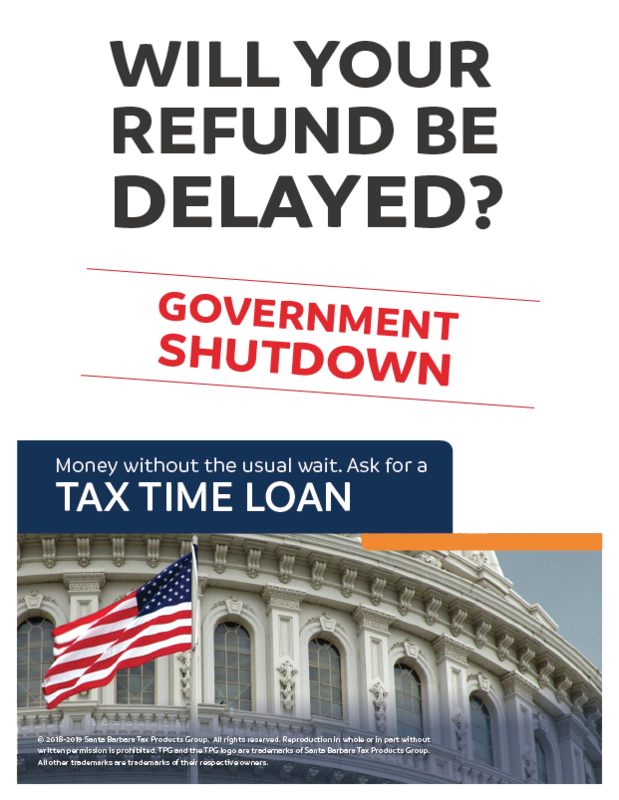 Download and print free 8.5" x 11" pdf flyers that notify clients of possible refund delays from the government shutdown. 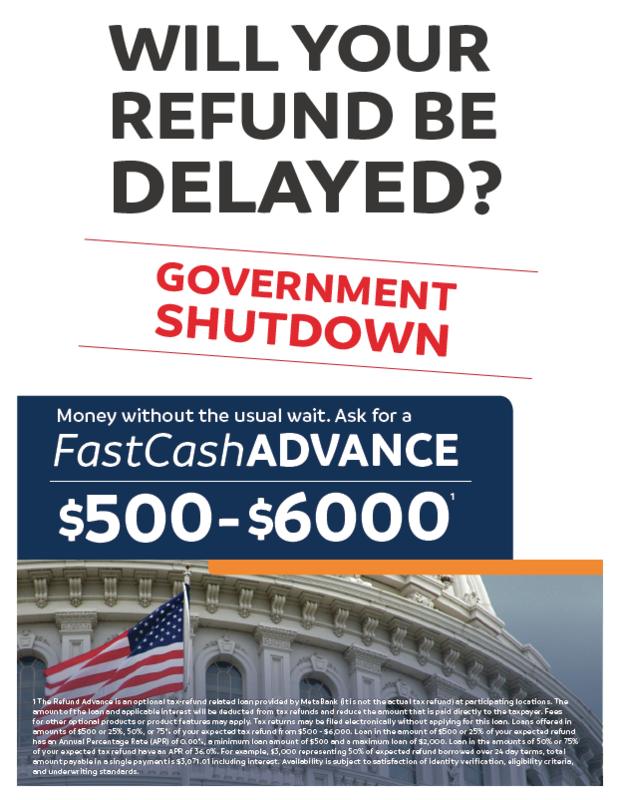 Give your clients a solution with the Fast Cash Advance & provide help before their refund is ready.